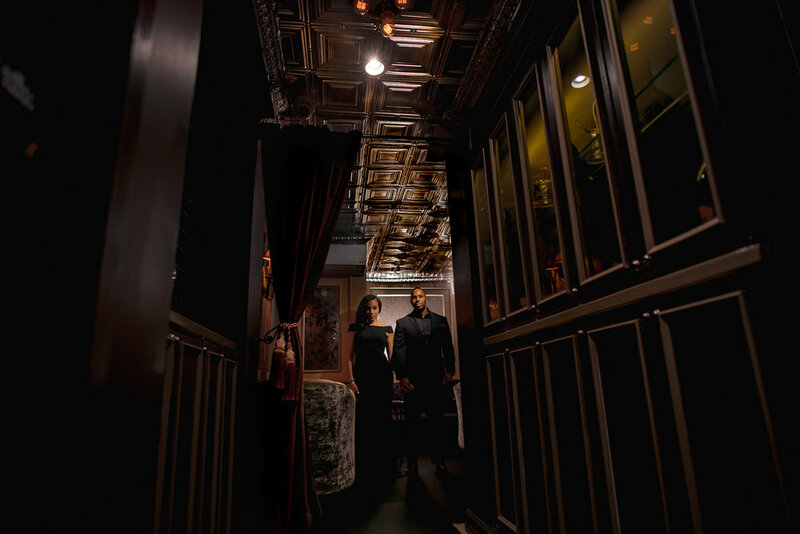 Raine’s Law Room was the setting for this chic and sultry speakeasy engagement session. Natasha and Derrick brought the great style and beautiful chemistry. Check out the highlights from their session.